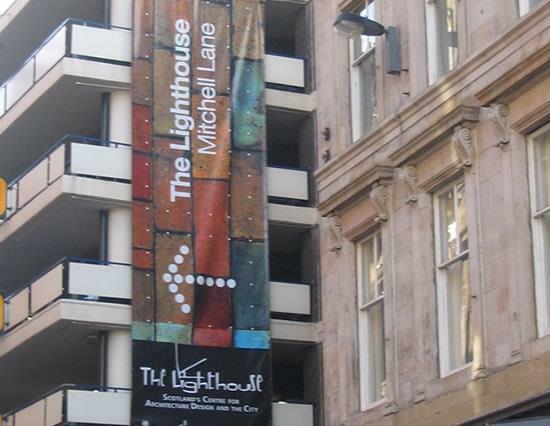 The Lighthouse in Glasgow is the venue for architecture and design in Scotland. HM Queen Elizabeth opened this fantastic attraction in 1999; with over six floors of exhibitions, innovative designs and much more, you can enjoy and explore the many fascinating aspects of this inspirational centre. Since opening in 1999 The Lighthouse has seen over 700,000 visitors eager to learn all about the design process and architectural genius that surrounds the city of Glasgow. The building is a former newspaper office and was transformed into The Lighthouse with a £13 million conversion of this original Charles Rennie Mackintosh design. The Lighthouse displays many international and local exhibitions throughout the year and is also home to the Charles Rennie Mackintosh interpretation centre which tells the story of Mackintosh' legacy, detailed information of his designs and key information to many Mackintosh sites in Glasgow. As well as the stimulating exhibits and information centre there is also a chic roof top café/bar, restaurants and a conference centre. There are three main temporary galleries, a review space and also one permanent gallery. The Lighthouse is situated in the heart of Glasgow city centre, the venue is open 7 days per week and there is a small entrance fee, which is well worth this great experience! You will find public transport available to get you there or if you are perhaps staying in the city centre you will be within walking distance. Another stunning feature at The Lighthouse is the scenic views of Glasgow's skyline. By climbing up through the beautiful Mackintosh Tower or using the internal lifts you can reach the top level and take a look at some of the most important architectural buildings in the city.